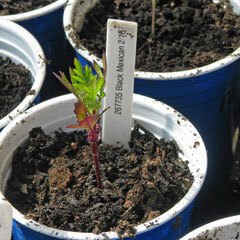 Seed starting media is what is used to, you guessed it, start your seeds in! Why does starting seeds require its own media? Why not just use some good garden soil or well-aged compost? What is the difference anyway? These are valid questions that all too often go unanswered, leading to disappointment, frustration and failure for the home gardener trying to get a jump on the season by starting their own seeds for transplants. The first thing to recognize is that starting seeds inside and growing them into transplants is much different than what happens in the garden with direct seeding. Growing inside has advantages and challenges that simply do not exist in the garden, with its own rules. Temperature can be controlled and modified inside, as well as lighting to ensure success. Humidity and soil moisture levels are other things that can and need to be controlled to get the young seedling to the strapping transplant stage. A good seed starting mix provides a sterile environment free of fungus, mold or viruses, good drainage to allow better soil moisture management, and minimizes nutrient leaching from the young root systems. 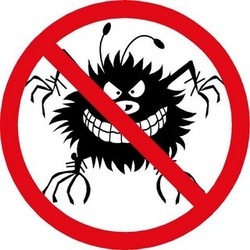 These are all things that are just not possible to control outside, forcing the gardener to wait until conditions are right before sowing the seeds directly into the soil and hoping that the weather cooperates. Thus the entire reason to start your own seeds inside, in a nutshell! You have control- control of the choice of what to plant, what varieties of tomatoes, peppers and such that are not available at the local garden center or nursery, and control of all of the variables that will grow a healthy, sturdy and productive member of the garden. It all starts with the choice of the right seed starting media or mix. Get it right and you are well on your way to success. Get it wrong and you could have some challenges that slow you down. Luckily, it is not difficult at all! When you visit your local garden center, home improvement store or local market, it might be confusing on which growing media to buy. For the beginning gardener, buying seed starting media is the best and safest choice for success. This is not the time to overthink or overcomplicate things. Find the simplest, most successful way possible and stick with that method. You will have plenty of time to experiment with different approaches and systems once the seedlings are transplanted into your garden. What you need for starting seeds is a dead-simple, easily repeatable, always successful method to get the seeds up and healthy. As you gain experience and knowledge you can do some experimenting to see what “recipes” or hand-made mixes work well for you. Below we will tell you more about each type. Perlite– An amorphous volcanic glass expanded to about 13 times its original volume by heating to 1,800F; it is used as a soil additive to help prevent water loss and soil compaction and is white in color. 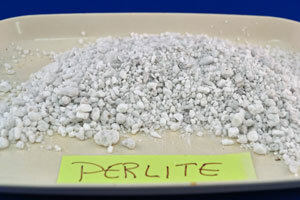 Perlite provides aeration and optimum moisture retention for superior seedling growth. It is sterile and has a pH of approximately 7, or neutral. Used to condition garden soil to improve aeration and drainage. 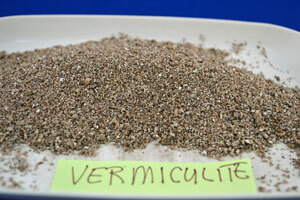 Vermiculite– A mica mineral expanded by heating it to 1,400F; used as part of peat-lite mixes. Similar to perlite it is lightweight, highly absorbent, increases aeration and moisture retention, and minimizes fertilizer leaching. 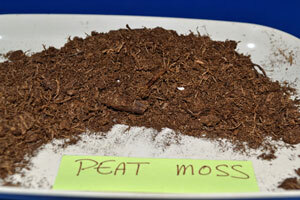 Peat moss– Organic material used in many soil mixes to grow plants in. It comes from Peat bogs, which are natural deposits of peat moss. Peat Bogs are found in very Northern Countries such as Canada. This is a finite resource. Peat pots– Pots made from compressed peat moss and paper. Rock Wool– A growing media is an inorganic product that is made by melting together at a very high temperature a mixture of basalt, coke and limestone into lava which is blown into a large spinning chamber which pulls the lava into fibers like “cotton candy”. 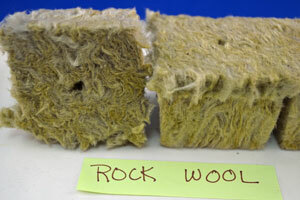 Rock wool fibers hold a lot of water; this medium is usually used in greenhouse production. 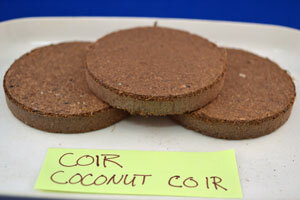 Coir– A natural fiber extracted from the husk of coconut and has a large capacity to absorb water and still provide aeration. It is a strongly recommended substitute for sphagnum (Peat) moss because it is free of bacterial and fungal spores, and produces good results without the environmental damage caused by peat mining. Wetting agent– Material added to water to reduce the surface tension and make the water wetter. Many common Seed Starting Potting Mixes will contain peat moss, perlite, a fertilizer and a wetting agent. There are many different brands of Seed Starting Mixes on the market or you can create your own. 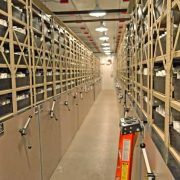 Take a look at our Seed Starting Department for ideas and tools to help you get the best out of your seed starting efforts. 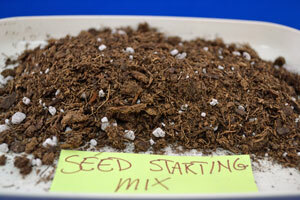 Here are a couple of hand-made mixes from The New Seed Starters Handbook by Nancy Bubel. Nancy was the author of many books at Rodale and the author of the Storey Publication Grow Super Salad Greens. One part sharp sand, perlite or vermiculite or a mixture of all three. If you are a beginner it might be easiest to buy a bagged mix or a tray with coir pellets to start with. After a little experience you will find what works best for you. A personal favorite is using a soil blocker and creating your own custom mix based on Eliot Coleman’s methods. Chapter 14 of The New Organic Grower covers the complete use of soil blocks and blocking mixes. If you start a lot of starts or are a larger grower this method might be worth exploring. With an understanding of the importance of a good seed starting mix, and the ingredients commonly available, you have the tools needed to have a successful start to your seedlings, a more productive garden and great home grown food. We will be continuing the planning, seed starting and planting series with some seed starting basics, tools and experiences that have helped us have a high success rate. 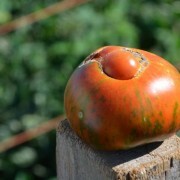 I appreciate Terroir/Underwood Gardens’ focus on heirloom, sustainable and organic methods and seed preservation. Somehow, I don’t see that using perlite, vermiculite, or rock wool are sustainable. They require heating at very high temperatures, packaging, and trucking the the material long distances to get to the end users. Of course, peat moss extraction at current rates is also not sustainable-that is well understood. I would prefer to read about how to sterilize your own soil starting mixture at home–perhaps using solar energy to steam the mixture. I don’t use any of the above additives, and my seeds and seedlings do quite well. Thanks for your comments! We completely agree that the above mentioned items are not sustainable but wanted to introduce what they are for the gardener doing seed starting for the first time. There are many folks who simply don’t know what these ingredients are, or have heard of them but that is all. 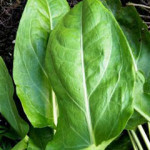 We also include a couple of home made seed starting mixes at the end of the article. We are working on more articles in the seed starting series on more sustainable, local alternatives to what is commercially available. Something that we have found that works well but takes some experimenting to get the consistency right is the soil blocks that Eliot Coleman uses. Here in Arizona we don’t have problems with soil borne pathogens that must be sterilized before planting, but many parts of the country do. What are you using for your seed starting mix?